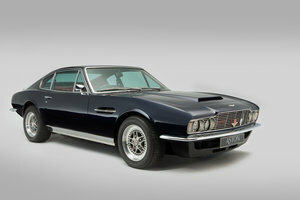 CCCR have the pleasure in acting as sales agents for this Aston Martin DBS in a unique exterior colour and with a bumper history file. 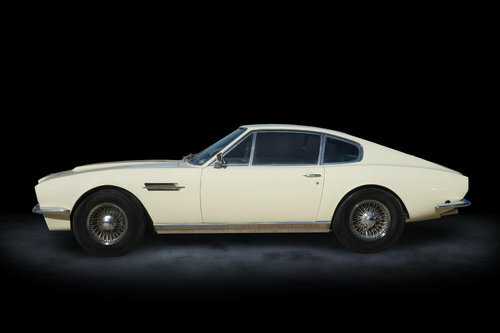 The vehicles history can be traced pretty much all the way back from new thanks to the efforts of previous owners in piecing its past together. 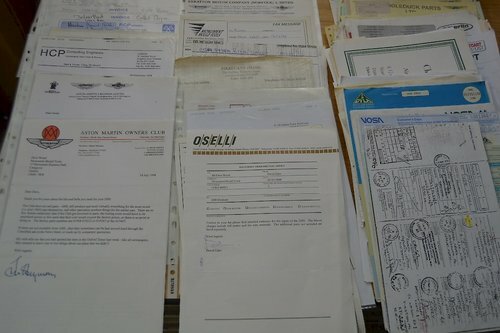 There are numerous hand written letters from previous owners to each other or to various companies including Aston Martin themselves in 1989, which is nice to find these days when so much correspondence is typed emailed then deleted. 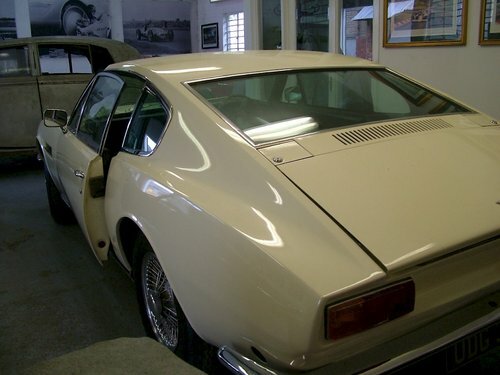 The car was sold through Plough motors Stroud Gloucestershire in its factory colour Silver Birch and during the 1970's passed through Anthony Crooks Bristol Car Showrooms in Kensington being sold onto a gentleman in Surrey. After one owner in the 1980's and one in the 1990's it fittingly ended up being owned by a Mr David Brown! 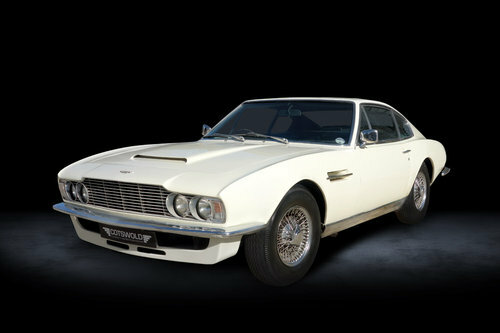 The vehicle is known to AMOC as previous owners have been members. 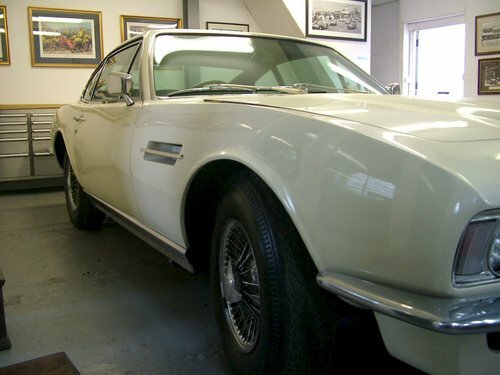 The vehicle in its time has had many thousands spent on it including a bare metal respray into its current colour of old English White and a re-trim. There are colour photographs showing the vehicle having new sills being fitted along with other repairs before its bare metal respray. 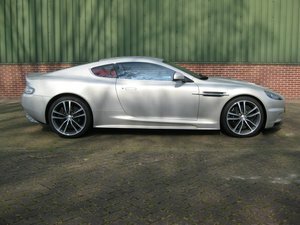 This is the only DBS I have seen in this colour and it really suits it. Overall the car is in nice condition and comes with its factory fitted three speed auto box and the sought after six cylinder engine. 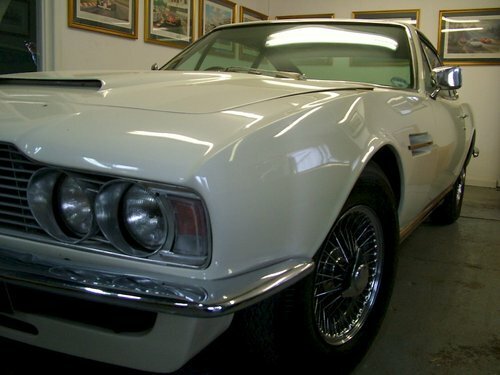 CCCR is currently performing a set of works on behalf of the current owner to this vehicle in readiness for its sale so please speak to us if this vehicle interest you because we may be able to tailor this car to your personal needs as opposed to you having to buy what’s already on offer. The car is priced at £125,000 or nearest offer and the current owner is keen for it to find a new home due to personal circumstances.